One of the biggest questions in the world of digital photography is, "When was the first digital camera made?" We forget that the digital camera was not always a simple point and shoot device or a more advanced SLR. Developing along with much of television technology, the first digital cameras were nothing like we imagine them to be now. They were nowhere as small and nowhere as simple. Keep reading to find out the answer to the question of "When was the first digital camera made?" When Was the First Digital Camera Made? The first digital camera was a gradual development. In the 1950s, the first video tape machines were created. The devices soon became a standard for the motion picture industry. The impact the creation of the first tape recorder had on television technology was monumental and--as video cameras and digital cameras still both use similar technology--the tape recorder began to make way for the digital camera. It is because of the advances in motion picture technology that the first digital camera was possible. In December of 1975, Eastman Kodak Co. developed the prototype for a digital camera. The device was a large 8-pound box about the same size as six staked books. The lens on the camera was about the same size as the screen on most modern digital cameras. The camera had the same CCD image sensor that video technology of the time used and had a megapixel count of 0.01. It took approximately half a minute to take a photograph. The device was created from several pieces of other cameras. Steve Sasson took parts of Kodak's Super 8 camera line and combined it with pieces from other cameras to create the device. It was never intended to be mass produced nor was it. While Kodak is thought to have the first digital camera, there is still some debate as to what company had the idea first. Spy satellites had been using digital imaging for a good amount of years before Texas Instruments patented an electronic camera that had no film in 1972. 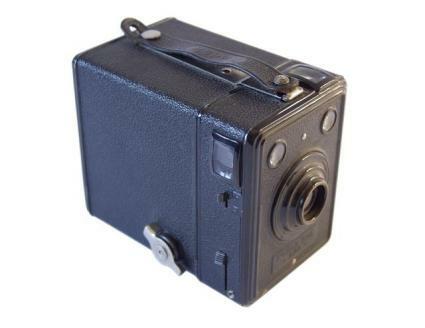 Willis Adcock developed the filmless camera for Texas Instruments, but there is no record of if it was actually ever created. It was also analog based, rather than digital based. Electronic handheld cameras were the next closest predecessor to the modern digital camera. The cameras recorded pixel signals similar to movie cameras rather than in the way modern digital cameras processed pixels. These cameras were demonstrated in the early 1980s and were used mainly in news media outlets. The quality of these devices was similar to television at the time. The first of these devices that was designated for consumers was the Canon RC-250 Xapshot. The device was released in 1988 and stored images on video floppy disks. The first device to store digital images and act like a digital camera in the way that we know it was the Fuji DS-1P. It was released in 1988 and had an internal memory chip of 16MBs. The device was never sold in the US. 2 years later, in 1990, the Dycam Model 1 used a CCD image sensor and digital compression. This device was available to consumers. Kodak released a 1.3 megapixel device the following year. Future steps were taken in 1995 when Casio released the first digital camera with a LCD screen and a year later when Kodak released the first digital camera with a compact flash sensor. Digital cameras have also progressed in their storage and image formats. The first digital cameras did not use memory cards like modern cameras. They originally used video floppy formats and slowly moved to SD and other types of memory forms in the 1990s. Image formats changed too and now many digital cameras can store in several image formats such as raw format, JPEG, GIF and TIFF. The first digital camera made by Sasson for Kodak used a digital cassette tape.